This photograph shows a 16-pounder cannon made by Joseph Barnola in Barcelona, Spain in 1743. 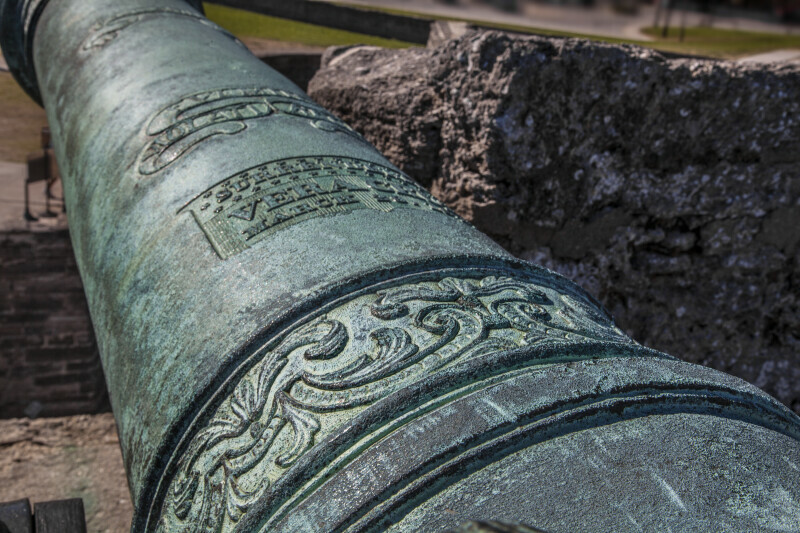 This cannon was surrendered to the United States forces at Vera Cruz on March 24, 1847 as part of the Mexican War. This photograph was taken at Castillo de San Marcos.